Successful leadership is the product of several factors. Skill and education play a part, but one of the most important hallmarks of great leaders is the standards they uphold. That means building good habits of action and thought, and drawing a firm line at things that are unacceptable. It’s about what they do, but it’s also about what they’ll never take part in or allow in their team. 1. Inertia. The reality of leadership is this that yesterday’s results become today’s status quo. Leaders need to constantly be moving forward and prepared to seize opportunities. Inaction is incompatible with strong leadership. 2. Poor communication. The best leaders put communication at the heart of their leadership. Their communication is timely, clear, and appropriate, and they expect the same of those around them—because communication is a two-way street. 4. Ambivalence. Successful leaders don’t have the time or patience for indecision. They understand that to achieve success, you must put aside fear and doubt, pick a course and stick to it. Their decisions are grounded in knowledge and strategic thought, but they don’t waffle or create subcommittees to examine every detail first. 5. Toxic relationships. Successful leaders don’t waste their valuable time and energy on negative relationships. They set boundaries, distance themselves from negativity and redirect their focus firmly on the positive. Positivity is fuel for progress. 6. Dishonesty. Successful leaders understand that dishonesty destroys reputations and, ultimately, success. If you can’t be counted on to be honest, what kind of leader are you? 7. Disrespect. Successful leaders treat every person they encounter with respect. They earn respect, in part, because of their willingness to show respect to others, and they don’t allow anyone around them to be treated disrespectfully or to be disrespectful. 8. Fear. Leaders are human, and no one is without fear. But the best leaders understand that to succeed, they must tackle their fears and move through them to succeed. They feel their fear and keep going. 9. Negativity. Successful leaders avoid negativity because they know it can only hold them back. Nothing good comes from being negative; negativity only breeds more negativity. 10. Lack of integrity. Successful leaders understand the importance of integrity. Anyone around them who lacks integrity compromises their work, their team and their leadership. They lead with character in everything they do, and they expect others to do the same. There are many more things successful leaders don’t tolerate—this list is just a few of the most important. Let it remind you to keep your tolerance low when it comes to compromising who you are and who you can become. Lead from within: To build a successful career and life as a leader, know where you draw the line on anything that can harm your leadership and your team. 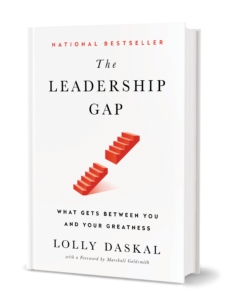 The post 10 Things Successful Leaders Never Tolerate appeared first on Lolly Daskal.